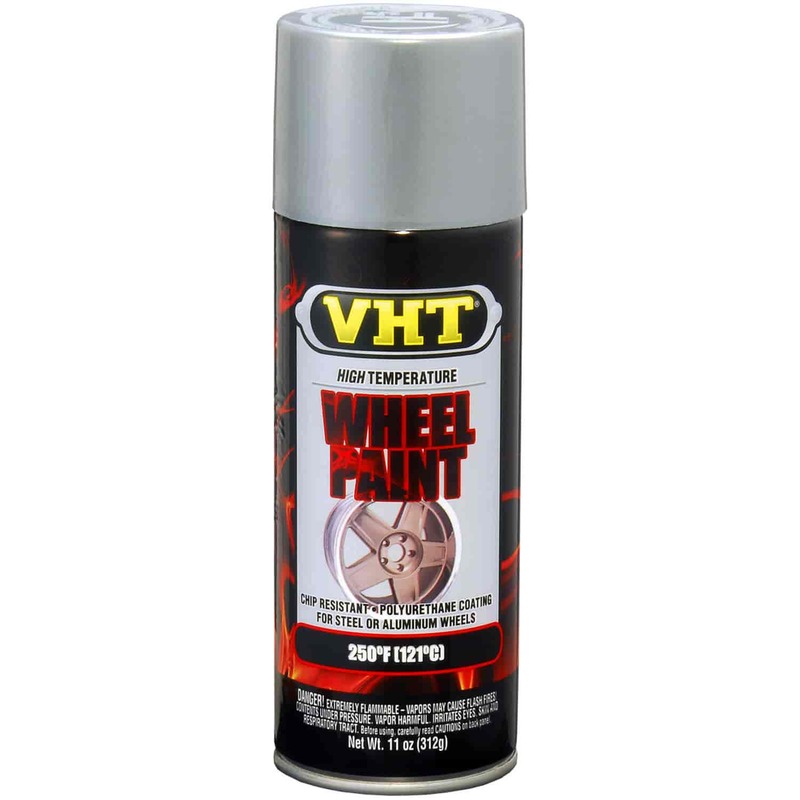 VHT Wheel Paint fills the demand for beauty and protection of all standard and custom wheels. Even on super-highways, the wheels take a beating - especially in foul weather. Salt, sand, brake dust and rocks raise havoc on wheel surfaces. VHT Polyurethane Wheel Paints can easily restore these surfaces to their factory-fresh appearance. Available in five outstanding colors. For polished or plated wheels, VHT Clear Coat assures long-lasting protection and eye-appeal while protecting the surface from oxidation. This unique wheel paint product is specially formulated to resist chipping and cracking.